Make time to strengthen your body, enrich your spirit and expand your mind from anywhere and at any time with Mission 360. Mission 360 is a curated and multidimensional community dedicated to empowering individuals looking to work towards a stronger body, enriched spirit and expanded mind. Mission 360 combines the best yoga, fusion fitness, wellness coaching and intuitive healing. This is all found in an online community that busy individuals can access anytime and anywhere. Classes that are filmed in studios are on-demand, so users can have an authentic workout experience where they are, or decide to go. There are one-on-one video coaching sessions that can be purchased too for maximum usage. Mission 360 is a way to invest in yourself and empower your future. 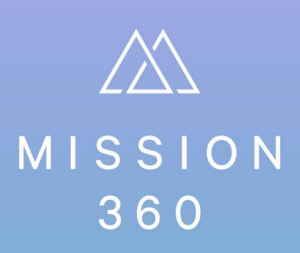 Mission 360 is also a way to take a break from the crazy daily lives we all lead.